There's always the question of what to listen to while you're reading. Grant Morrison probably would have picked something with more synth in it ("The Fall" is always a safe soundtrack for good superhero comics) but I went with Propagandhi's "Less Talk, More Rock" while re-reading the new hardcover collection of the 2000 Marvel Knights mini-series Marvel Boy, and it seemed to work OK -- both works are loud, dynamic, singular and explicitly in love with anarchy and hostile to corporations. 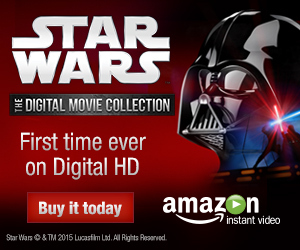 Until very recently when Marvel Boy (a.k.a. the Kree soldier Noh-Varr) joined the cast of something called Dark Avengers, debate raged as to whether this was the "secret first Ultimate Marvel book" which Joe Quesada had spoken obliquely of. Well, it's pretty clear now that it is in Marvel continuity proper (Earth-616) for better or worse, but the book definitely carries the smell of Ultimate Marvel and that imprint's mandate of "bringing Marvel Comics into the twenty-first century." To me, the operative question is not "what universe is this book taking place in?" but rather "How does Marvel Boy figure into the oeuvre of Grant Morrison?" On close examination, you can see Grant Morrison taking the opposite tack at Marvel than what he does with DC's stable of superheroes. At DC, everything he writes is connected, and Morrison is the first writer to use the notion of comic book continuity to its fullest literary potential. Animal Man connects to JLA connects to Batman connects to Seven Soldiers connects to All-Star Superman connects to DC One Million, and so on, enriching and enlivening the work. Of his three major works at Marvel, each has been self-contained to the point of barely needing to exist in a "comic book universe." The X-Men living in their own corner of the world is nothing new, but in four years' worth of New X-Men, Morrison never acknowledged the wider Marvel Universe. Fantastic Four 1234 was the same old FF story told on a broader scale and barely mentions any other superheroes. The same goes in Marvel Boy, except . . . not. Superhero comics run on nostalgia and the veneration of decade-old concepts, so it's not surprising that something like Marvel Boy, which flies in the face of the familiar, takes some getting used to. But once you realize the hopefulness that's present in Noh-Varr's parting promise to turn Earth into the capital of the new Kree Empire, and also realize that Morrison will probably never complete this saga, it makes you love this unlikely volume all the more. Thanks, Marvel, for re-issuing this book as a hardcover, in an attempt to cash in on Final Crisis like the corporate shills you are. While the point is amusing, I disagree and humbly suggest it misses an important point behind the series. 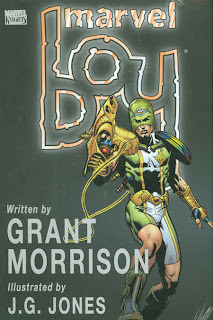 Morrison mentioned in interviews that Marvel Boy – the character and text – are meant to evoke Horus, the boy god. As evidence, Marvel Boy wears the emblem of Horus on his chest. The book is an invocation of Horus and presumably meant to stir the overthrow of old ideas so new cultural growth can be achieved. So it is important that Nohvarr be a boy as a “man” has become set in his ways and represents maturity. The “boy” represents revolution by the new so “Marvel Boy” it is then. In this respect, the book is much-more closely aligned with Morrison’s THE INVISIBLES series, which is a long magical discursion/invocation itself. Plus JG Jones inserts two INVISIBLES in the second issue of the book. I think you make a great point about the Ghost of Marvel [comics]. The reader only sees the remnants of the core Marvel Universe as you point out. The core heroes only appear in analogs - FF & Iron Man in Midas, Cap, Hulk and Wolverine in Bannermen, Dr. Strange via appearance of the Mindless Ones, etc. So if Marvel Boy is an evocation of renewal then his victory over these analogs is a desire for the reader (and future creators) to cast off the accumulated detritus of the Marvel U so new ideas can grow. Thanks for the comments, Dave. I was going for a cheap laugh there, you're right. I think youth and youthful rebellion are both important parts of the character and what the story is about. One thing I'd like to know about this hardcover edition is if Marvel fixed the split double-page spreads that ruined the original Marvel Boy trade. I didn't notice anything as egregious as Marvel has perpetrated in the past with some of their omniboo. No major production issues that jumped out at me, I guess.